A recent report by the Sheffield City Council Communities Commissioning Service, ‘Fees and Market Analysis: Care Homes 2015/16’, highlights some interesting statistics that all regional care owners need to be aware of. The report sets out key demographics and performance-related indicators for Sheffield region homes. Linking to research from leading market analysts, Laing & Buisson, the document also sets out key demographics and performance-related indicators for care homes across the UK. You can find our 2016/17 care home fees and market analysis here. 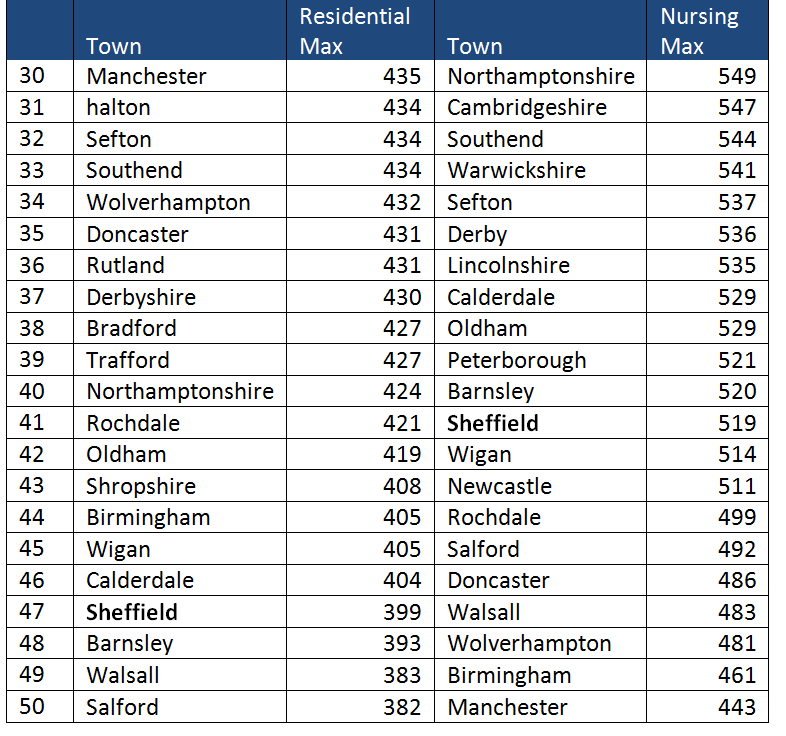 The numbers of older people living in Sheffield is projected to increase year on year. The number of people aged 74-84 in the UK is projected to grow by over 800,000 and the over-85s by 400,000 between now and 2021. Over the last 18 months capacity in the market rose by 3,600 beds to an estimated 487,800 residential beds nationally. However, demand over the same period rose by 10,000 to an estimated 432,000 beds. Average fee levels are approximately 4.8% down in real terms over the last 3 years. The big four national care providers account for 18.4% of the national market and in localised areas this can be more than 25% of the market. Single or widowed women over 85 are most likely to become residents in homes. However, as residents are entering care homes at an older age, the average length of stay is falling. The report revealed that average occupancy in Sheffield remains on a similar level to other regions. The overall trend has risen from 88.3% to 88.57% since 2012/13. In the consultation with providers, it was noted that the impact of low occupancy is experienced differently by different sized homes. As high levels of occupancy remain a key challenge for smaller care homes, who need a consistently high level to survive, many are considering taking residents with increased care needs. 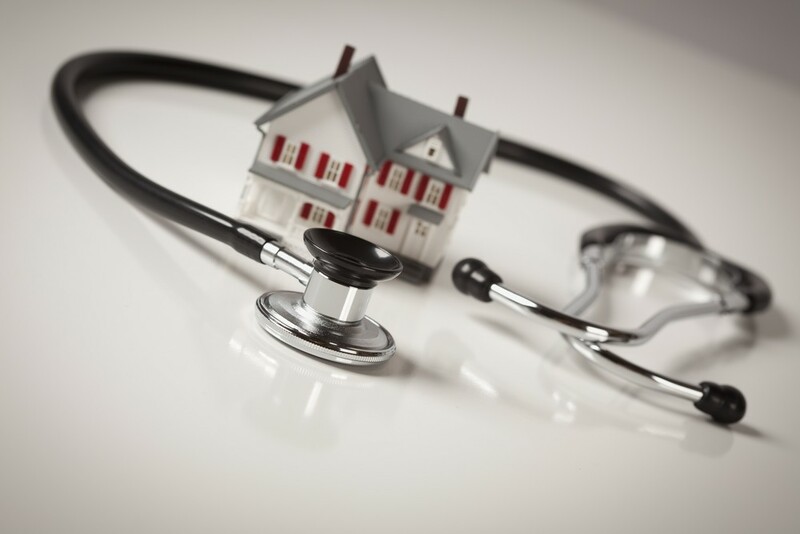 Although this is likely to have a positive impact on occupancy levels, the home must also take into account the potential impact on increased staffing costs and the risks associated with residents with increased care needs. Medium and larger homes, on the other hand, are proportionally more secure and are often better equipped to manage reduced occupancy levels. 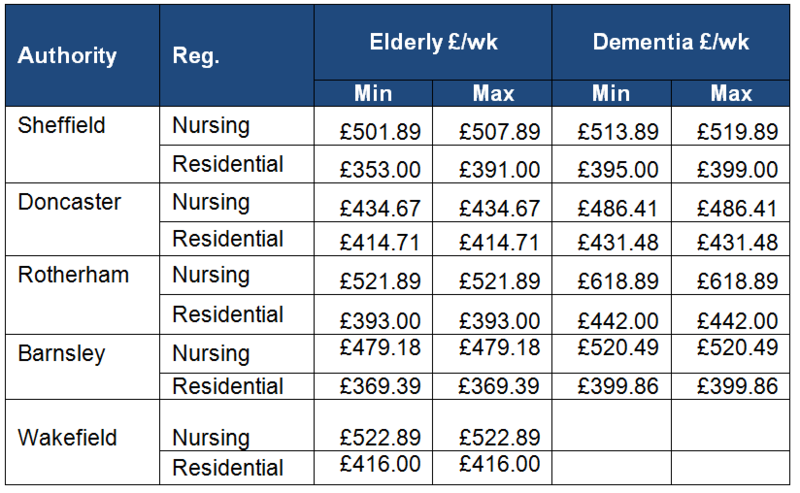 Both staff and non-staff costs are rising for care homes in line with national levels of inflation. Payroll costs for nursing care continue to remain largely unchanged, with a marginal decrease to 56% from 56.3%. Going forward we expect another increase in the National Minimum Wage to increase (effective from 1 October 2015) to impact on a high number of operators, together with additional pension costs following the implementation of Auto Enrolment. Although wage inflation in the UK is currently only running at 1.1%, as many of the staff who work within care & nursing homes are working at the National Minimum Wage level the increases to staffing costs have been more significant. As the tables below show, residential fees in Sheffield are amongst the lowest in the region and in comparison with other core cities in the UK. Nursing fee levels compare more favourably, however. In fact, when looking at Sheffield care fees on a nationwide basis, Sheffield again falls amongst the lowest in the UK. The below table excludes London and only shows the bottom quartile. Following the report, there is a draft recommendation for a rise in residential care home fees. “There has been a ‘freeze’ in Care Home fees for the last two years, during this time we know that costs and, in particular, staff costs for care homes have continued to rise. 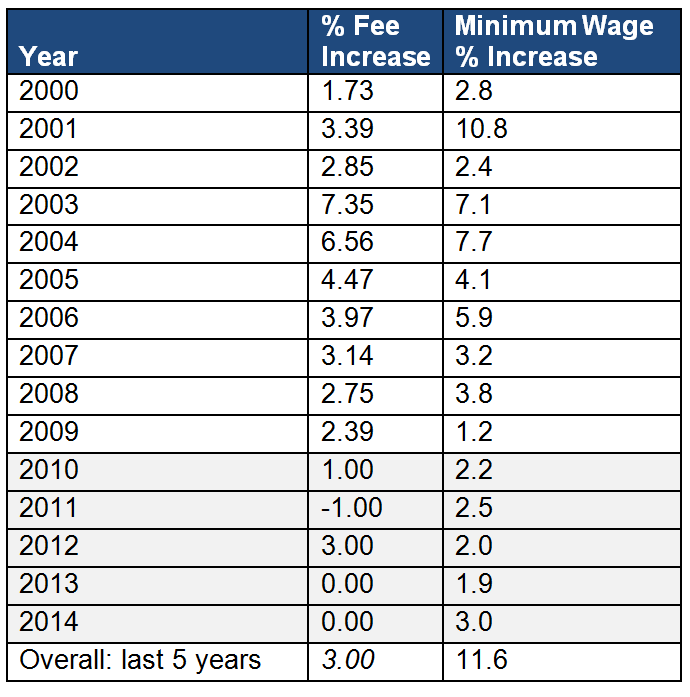 Inflation and the National Minimum Wage rise have a direct impact on care home staffing costs. This year inflation has risen by 1.2% and the National Minimum Wage by 3%. Together these would equate to an estimated 2.33% cost increase for Providers. 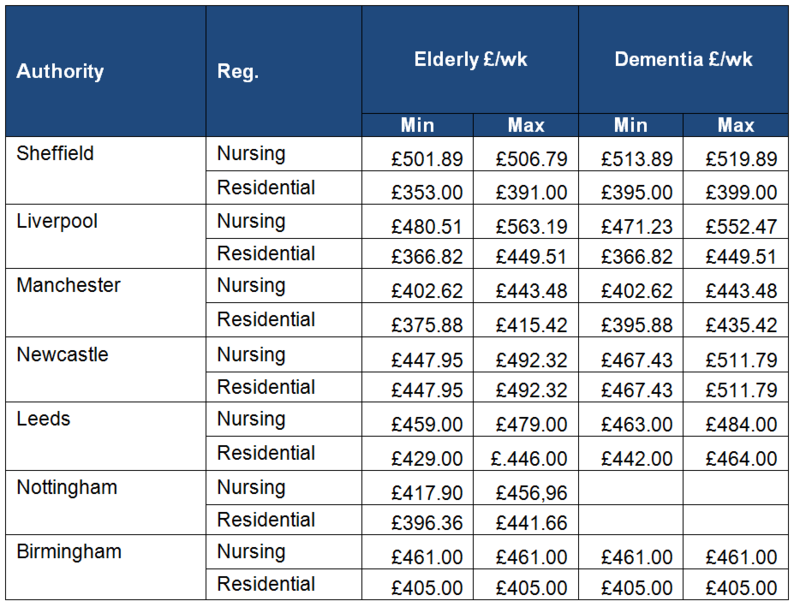 For more information on the rise in fees for Sheffield care homes, please click here.